Women of Vushtrri / Kosovo, Radio Vushtrri, Metropolitan School of Architecture London, School of Architecture, Prefecture Architecture UK, Prishtina, Shirin Homann-Saadat. The project involved a series of interviews and fieldwork with women in Kosovo regarding their lack of shelter. 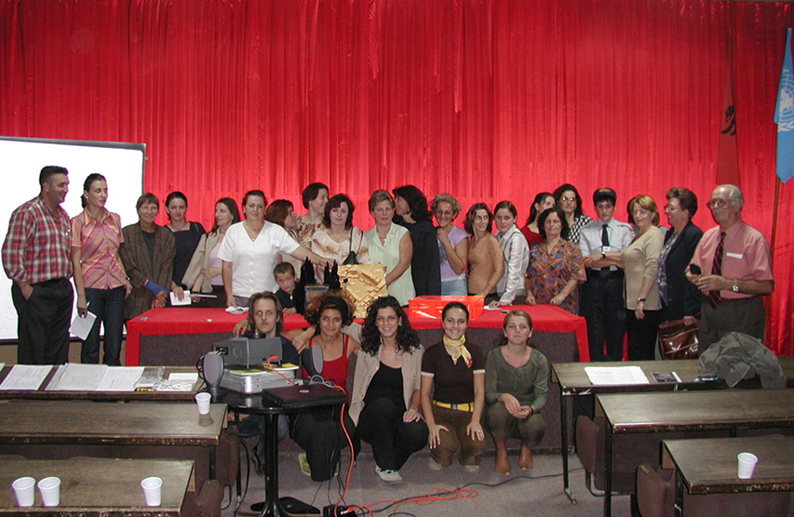 I It was an architectural Self-help / self-built-project for women. t was developed in collaboration with the School of Architecture in Prishtina and in London. Propose a solution for the lack of shelter for women. 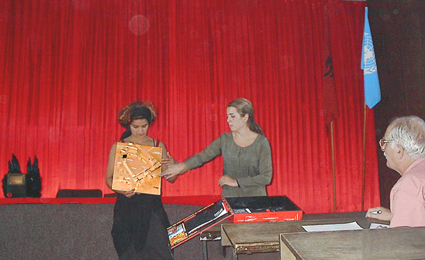 Some of the Kosovo Boxâ€˜s architectural ideas were integrated into an architectural local proposal; women of Vushtrri formed a group and occupied the building site for their â€™women only-buildingâ€™ (finally the site was not given to the women and the house was not built); the project was published in architectural journals in England and Germany and shown on Kosovo media.